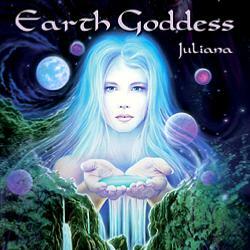 EARTH GODDESS CD BY JULIANNA. Featuring her pure angelic voice with overlaid beautiful harmonies. Earth Goddess is a soothing, calming album ideal for relaxation and therapy treatments. Previously released as Natural Woman.